Book your stay at the City Garden Hotel Hong Kong online and enjoy free breakfast, internet access, a tourist subway pass, and discounts up to 25% on room rates. After applying the maximum discount, rates start from HKD1,050 (USD135) for a Deluxe Room or 1,125 (USD145) for a Premier Room. A 10% service charge is additional. This promotion is available through December 31, 2012. 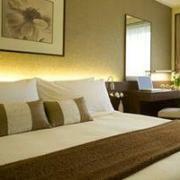 Room rates vary by date and will be higher during peak times such as holidays. Rates include buffet breakfast for one person Additional breakfasts will be charged at a discounted price of HKD90 (USD12). Rates are based on single or double occupancy. Children under 12 can share the room for no additional charge. The City Garden is an international business-class hotel located on the edge of Hong Kong’s bustling Causeway Bay shopping and entertainment district. The hotel offers 613 rooms with a contemporary décor and modern amenities like satellite TV, mini-bar, and complimentary broadband internet access. Facilities include a 24-hour gym and swimming pool, restaurants and bars, and shuttle service to the Hong Kong Expo and Convention Center. 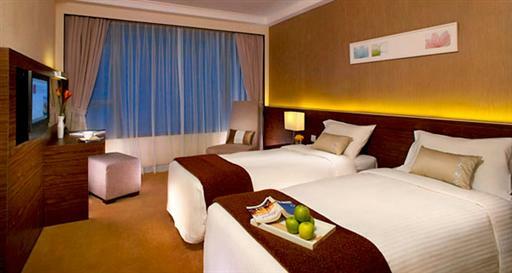 Visit the City Garden Hong Kong Hotel website for more information or to make an online booking. The hotel can be contacted by calling (852) 2887 2888.